Animal Crossing: City Folk is the third game in the popular game series and the only one that is available on the Nintendo Wii. The game was released in 2008 and re-released in 2011 in the Nintendo Selects Collection. 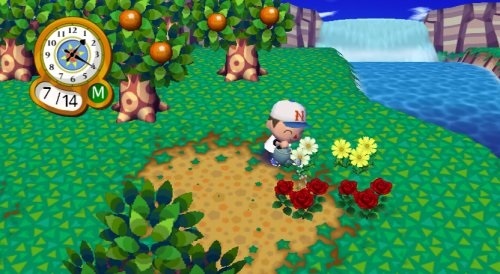 City Folk has very similar life simulation gameplay to previous games under the Animal Crossing series (such as Wild World). In the game you’ll take over a customised character in a rural village and go about various activities. Activities include gardening, bug catching, fishing and even fossil hunting. All the activities have a huge amount of variety making the game very focused on unlocking all the available, fish, bugs, fossils or plants. On top of these activities players will spend lots of time decorating and upgrading their home which has a very Sims feeling to it. This Sims feel continues in the city which players can visit via bus to buy clothes, get pampered, visit the theatre or attend the furniture auction. 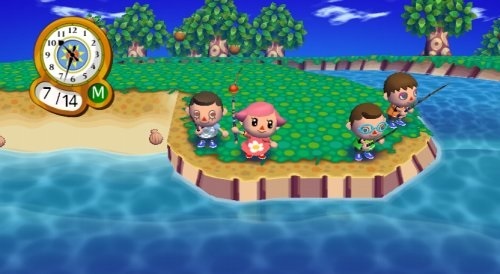 Animal Crossing: City Folk mixes plenty of real world events into its gameplay and if players log in during the right time will get to join in the celebrations. These include things like Christmas, Easter, Thanksgiving and Halloween. For those that want to experience Animal Crossing with friends the game has plenty of online options and was also the first game to use Wii Speak, making it very easy to communicate with others. Online options also include an auction house for players to sell their rarer finds to others and the Happy Room Academy where you can see how other towns are developing. While not one of the highest rated games in the series Animal Crossing: City Folk is just as impressive as the other games in the series and will let you get your dose of Animal Crossing on your Nintendo Wii. Continues the popular Animal Crossing series on the Wii. Plenty of activities to keep you busy. Upgrade and decorate your own house. Visit the city to access the luxuries of city life.